Pianist Alice Sara Ott's new album "Nightfall" gives us a glimpse of her thought process, which goes beyond consideration of the musico-historical significance of the works in question, beyond her artistic interpretation of the scores and her desire for technical perfection. On a higher, more abstract level, her readings of the shimmering ambiguities central to these works mirror the dichotomy of all human emotions, as well as shining a light on her personal fascination with the psychological fissures and contradictions that mark each and every one of us, and which are just as hard to capture as the changing moods of the complex, filigree music of Debussy, Satie and Ravel. Ending and beginning, transparency and opacity. As day turns to night and light fades into darkness, we enter the blue hour of twilight, when the air seems full of mystery, fleetingly saturated in blue and purple hues before inexorably darkening to blackness. It is precisely this elusive change in atmosphere that Alice Sara Ott sets out to capture in musical terms on Nightfall. Her success in accomplishing this feat underlines her status as a pianist of the very highest calibre. The album is a particularly personal artistic project for Alice Sara Ott, documenting the intensity of her musical encounters with Debussy, Ravel and Satie. 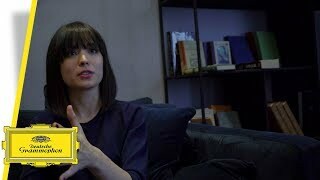 With "Nightfall", Alice Sara Ott examines her relationship with three French composers who have had a significant influence on her. 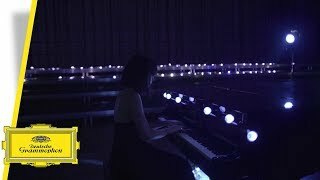 With meticulous attention to detail, she lends an overwhelming poetic charm to Debussy's "Clair de lune", revealing the fascinating interplay of the light and dark tones. "This album is devoted to the music of three composers who lived, worked and died in Paris. Three contemporaries, sometimes friends, sometimes rivals. Though they could hardly have been more different, they were all part of an era and a movement that stood the world of art on its head and gave it a new definition and significance." 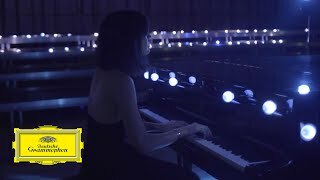 With her new album "Nightfall", Alice Sara Ott takes a very personal look at the magical moment in time and space between day and night, light and darkness, basing her explorations on works by Debussy, Satie and Ravel. On her new album Nightfall Alice Sara Ott takes a very personal look at the magical moment in time and space between day and night, light and darkness, basing her explorations on works by Debussy, Satie and Ravel. The German-Japanese pianist decided to mark the dual celebration of her 30th birthday and her 10th anniversary as a Deutsche Grammophon artist by examining her relationship with three French composers who have had a significant influence on her, and whose music made an indelible impression on the Parisian arts scene at the turn of the 20th century.